Today is National Do Something Nice Day! 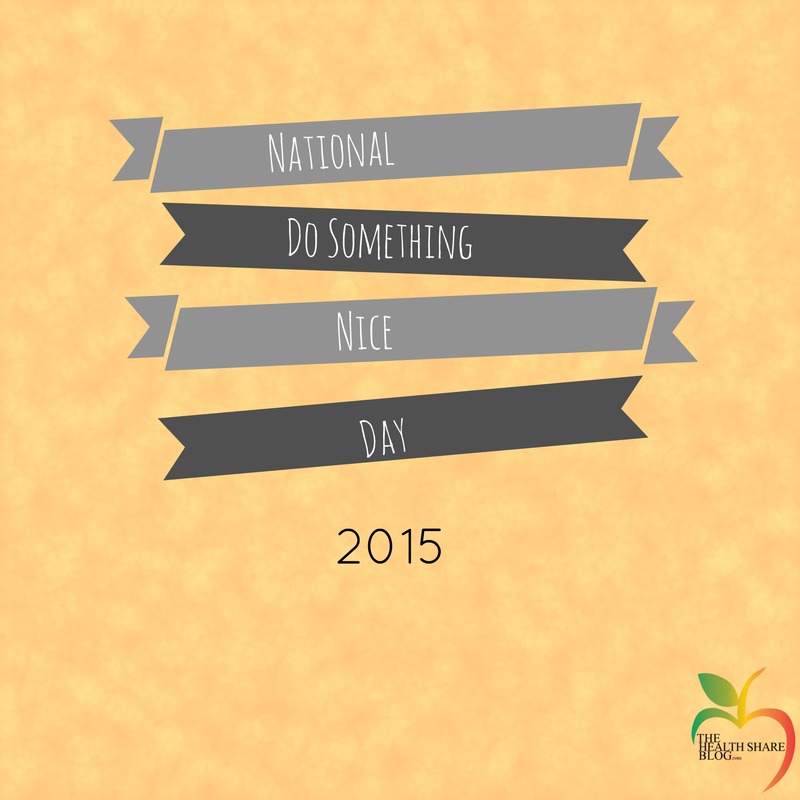 Even though we should always try to do something nice, today is a good day to celebrate it. There are countless great ways to do a good deed or to help others. Need some ideas? Here are some ways to start. One way to do something nice is to volunteer your time. There are several organizations that are always looking for help. The best part of volunteering is that there is the reward of helping people, or even animals. Some great places to give your time are Meals on Wheels, Habitat for Humanity, Feed My Starving children (check their website for MobilePack locations and dates) or even your local ASPCA chapter. Paying it forward is an easy way to do something nice. Some people like to pay for the person behind them in the drive thru. Another way is to help a neighbor with their yard work. Did you know Health Care Sharing Ministries is a form of paying it forward? Kind words are always something good. Maybe a co worker did a good job on a project or your child came home with artwork. Kind words can go a long way. Doing something nice shouldn’t just happen today, it should happen every day. This entry was posted in Uncategorized and tagged Give, National Do Something Nice Day, Share. Bookmark the permalink. I had no idea about this special day! Thank you for sharing these wonderful tips. You’re welcome! I hope it inspires people to do nice things every day! Really i had no idea about this day Tara, Awesome job and thanks for sharing!! Thanks for the ingiths. It brings light into the dark! Kailan on Celebrate Doing Good!